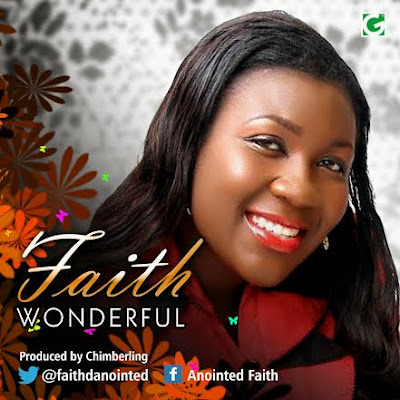 Inspirational and Gospel singer, FAITH teams up with producer Chimbalin for this dance number titled 'Wonderful'. The hit making producer behind hits such as Harrysong's Ogogoro featuring Timaya compliments the female gospel singer's strong vocals on 'wonderful' with a thumping instrumentation that would start any party and still praise God. Inspirational/gospel music hasn't been this 'sweet' in a long time. Check on it!